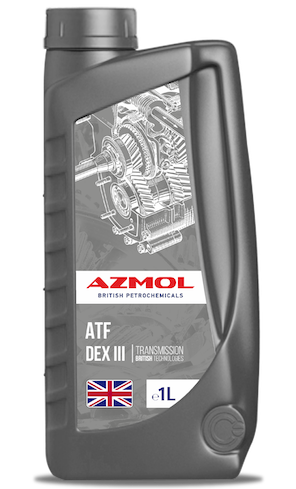 AZMOL ATF DEX III - Universal transmission fluid for use in automatic transmissions, where Dexron III, Dexron IID or Mercon are recommended. Used as a fluid for the power steering mechanism. This product is also suitable for use in power steering, hydraulic systems and mechanical transmissions, where the use of ATF liquids is prescribed. AZMOL ATF DEX III meets the requirements of increasing the stability and reliability of liquids at elevated operating temperatures.